Here are helpful storage hints for storing your belongings safely while minimizing your storage space costs. Try to use uniform sized boxes when possible. They are easier to stack and reduce the chances of toppling. Remember to keep the heavy ones on the bottom, and the light ones on top. Do not stack your boxes higher than eye level. Leave yourself walking space to get to all your things. Shelving units can really make a difference when accessing your belongings. A refrigerator or freezer should be completely dry and stored with the door slightly ajar. You can store things on top of stoves, dishwasher and freezers. Always disassemble beds and tables in order to save space. Use chair cover, sofa covers, mattress covers in order to keep these items clean during transit. You can use the tops of tables and dressers to stack boxes. Make sure to carefully pack boxes containing dishes and glassware. All dishes should be individually wrapped. Using newsprint to fill any unused space minimizes the risk of breakage during transit. Make sure to identify boxes containing dishes as “FRAGILE”. Fold your clothes properly to and store them in dressers to minimize space usage. Use wardrobe boxes to hang your clothing. Ensure that you drain the gas tank on lawnmowers, chainsaws, snow blower or motorcycles. Flammable and combustible materials are strictly prohibited. When you pack your boxes, label them clearly with a marker and indicate the contents on the side of the box so that it is clearly visible. This makes it easy to find your items when you are looking for them. Remember that books and papers can be heavy. Packing these items in several smaller boxes can prevent possible injuries from lifting. Package your items with sturdy packaging so that you can stack items on top of each other. This ensures that you use your storage space efficiently and minimize the amount of storage space you need. To prevent tipping, fill your boxes to capacity. Of course this will likely increase the weight of large boxes so it is best to use smaller boxes to prevent injury. Don’t Forget Helpful Moving Supplies to Make Your Job Easier! Marker or pen – remind yourself of the contents of your boxes! Miscellaneous supplies such as a disposable knife, scissors, tape measure, plastic storage boxes, sticky labels, string, elastic bungees are always useful to have on hand! You may have reached a point in your life where the need for cargo space has increased rapidly as you collect items over the span of a couple years. It is most apparent whenever you are looking to move. In many cases you may not realize you have as many belongings as you do until it is time to packup a bunch of boxes with your items in preparation for your move. You may decide to buy more cardboard moving boxes, or you may start looking at an alternative of placing some items in a storage facility in Ottawa. 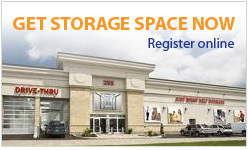 We have storage units in Ottawa of all sizes to accommodate your needs. Perhaps you are downsizing to a smaller place but do not want to part with some of your items. With our conveniently located storage centre in downtown Ottawa you don’t have to part with anything! Simply give us a call and one of our storage experts can help you find the perfect storage unit in Ottawa for your needs. We also have moving and packing supplies available in our moving supply centre. To learn more about our moving supplies, visit our Ottawa moving and packing supplies page. Are you relocating to Ottawa? If so then moving storage would be a lifesaver. Relocating from somewhere like Vancouver to Ottawa can be a frustrating process, especially if it’s across multiple provinces or even just across the street. One of the most upsetting parts of this process is where to put all of your stuff in between locations. Friends and family are likely not going to be willing to help you store all of your items so why not use a facility to store your items? We have a storage unit for you that will help make your move a smooth transition. Give us a call today or visit our contact us page and get your storage space in Ottawa today! Many people who travel frequently find that these services are an excellent way to keep their additional items safe while avoiding paying for expensive apartment or home rentals that are only storing items. It’s really a bad idea to waste money paying rent just to store items, and using a company to store your items will often behim significantly cheaper and often safer.